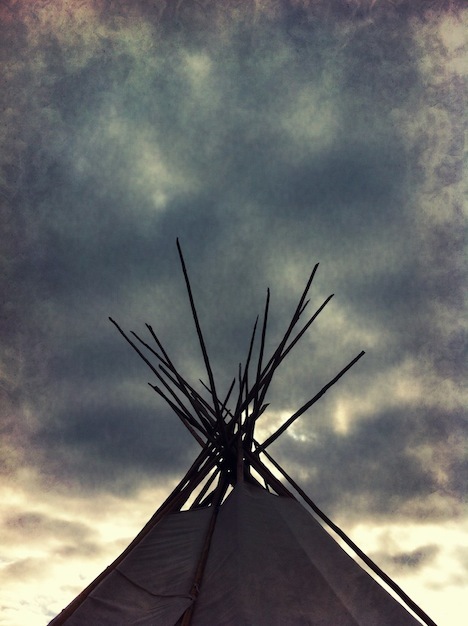 Hey, Lady Grey: We're back up north, and we have a teepee! We're back up north, and we have a teepee! While we were in Montreal, my neighbour up here in the north emailed me asking if they could set up a teepee in our backyard around the fire-pit we made. They didn't have a level spot in their own yard and needed to roast some geese. Of course, I said YES! 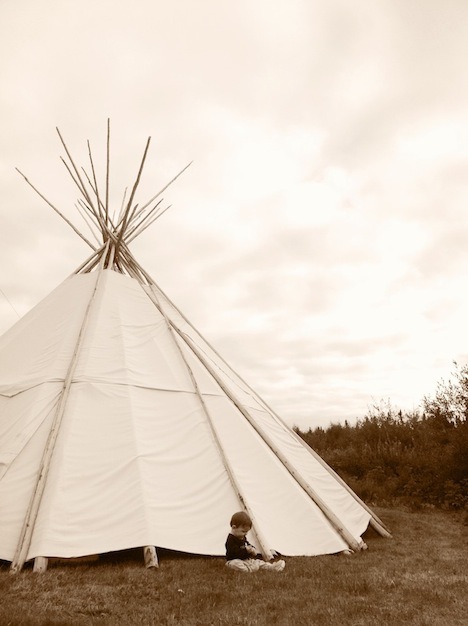 I mean, who wouldn't want a teepee?! So now we have a beautiful teepee in our backyard that we are free to use whenever we like. It's already become one of Zac's favourite play spaces. And I just can't wait for the next northern lights to happen so that I can take pictures of them dancing above the teepee! It's photographic gold! And Zac looks SOOOOO happy in there!